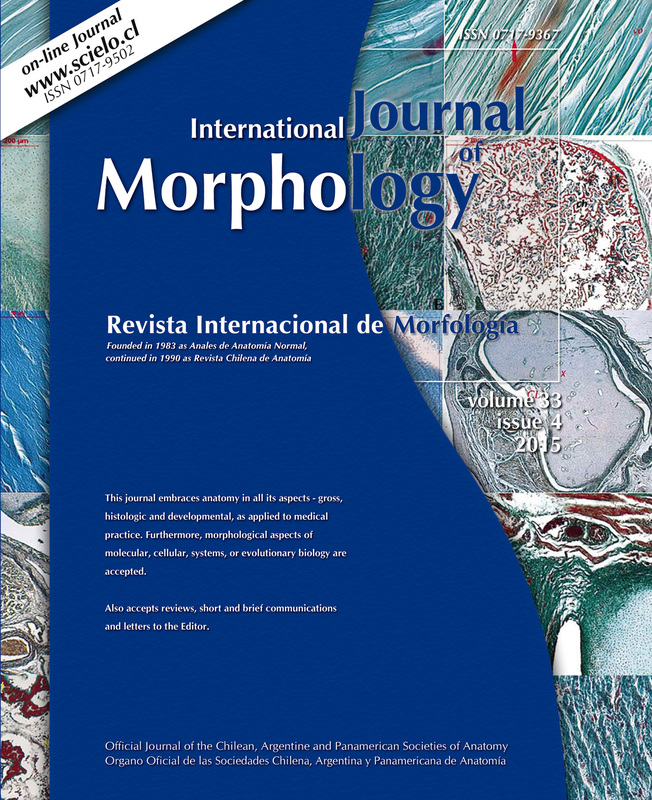 The International Journal of Morphology (Revista Internacional de Morfología), Print ISSN 0717-9367; Online ISSN 0717-9502 an official publication of the Chilean Society of Anatomy, Argentine Association of Anatomy and Panamerican Association of Anatomy. 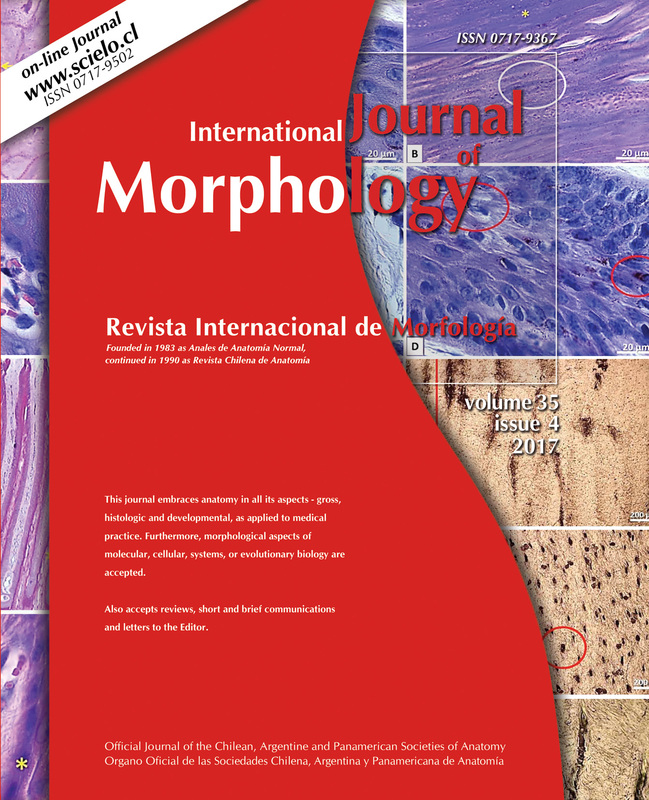 It is the continuation of Revista Chilena de Anatomía (Chilean Anatomical Journal) and is published quarterly. The four issues published yearly constitute one volume. 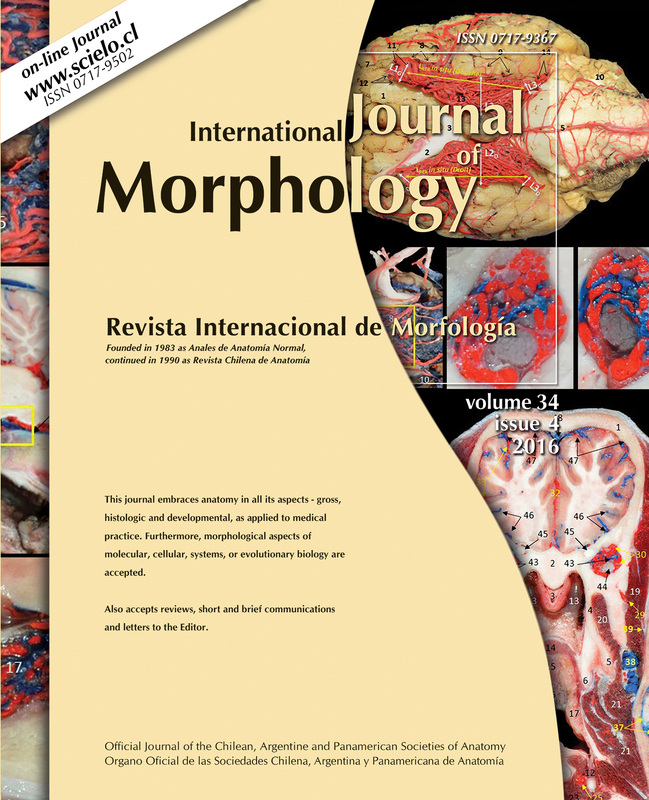 This journal covers anatomy in all its aspects-gross, histological and developmental, as applied to medical practice, as well as morphological aspects of molecular, cellular, systems, or evolutionary biology. 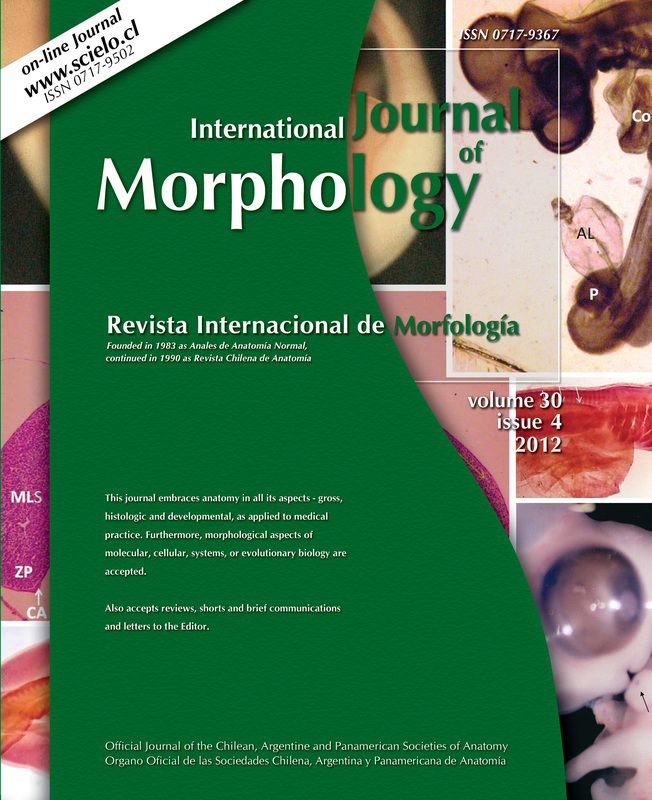 Reviews, short and brief communications and Letters to the Editor are also accepted. 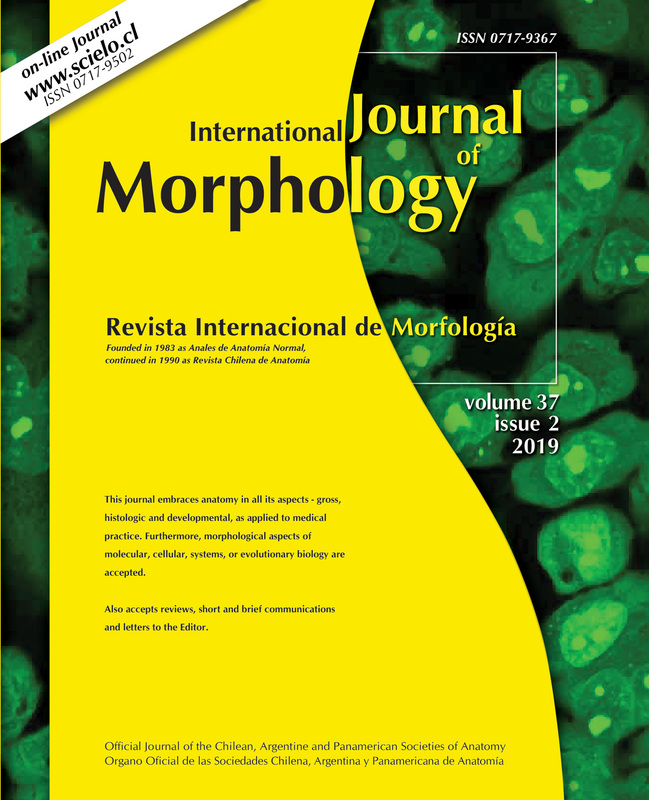 They will be critically refereed by at least two independent reviewers who are either members of the Editorial Board or ad hoc referees and who are committed to processing manuscripts as quickly as possible and to the highest standards. Acceptance is based upon scientific content and presentation of the material. Journal Citation Reports/Science Edition – Thomson Reuters – ISI and Web of Science – ISI. Yahoo (www.yahoo.com) y otros sitios de búsqueda. 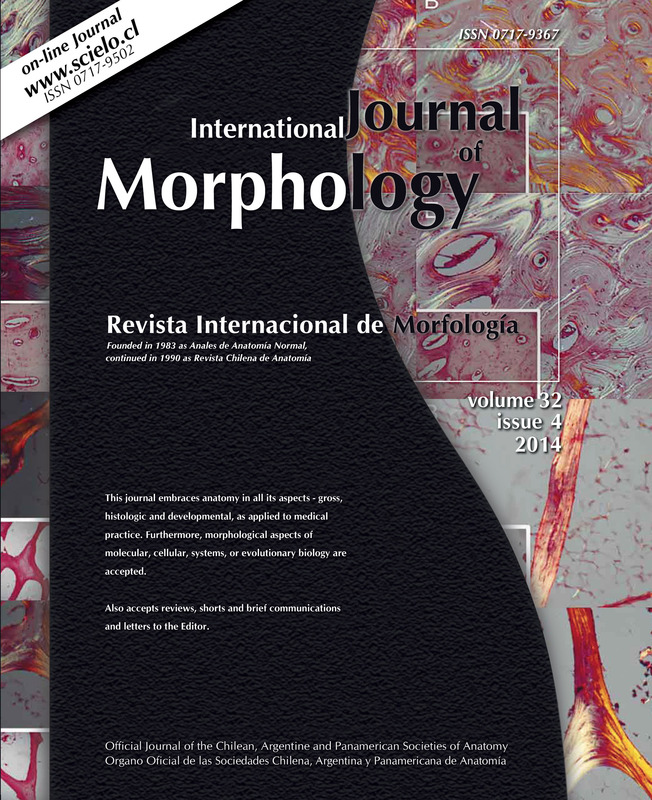 International Journal of Morphology authorizes the publication of the information herewith contained, only if the source has been duly cited. 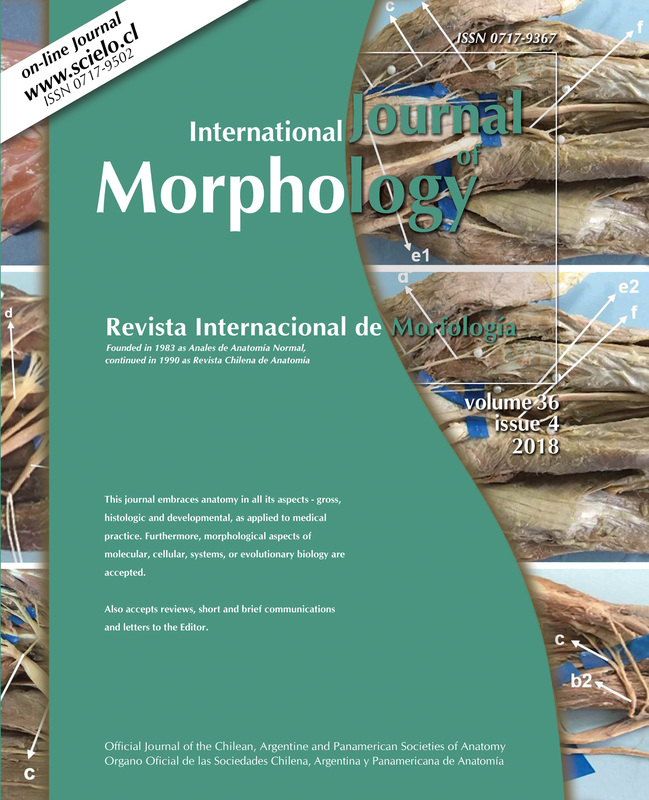 The publication of the International Journal of Morphology, is partly subsidized by the “Funds for Publication of Scientific Journals” of the National Commission of Scientific and Technological Research – CONICYT.